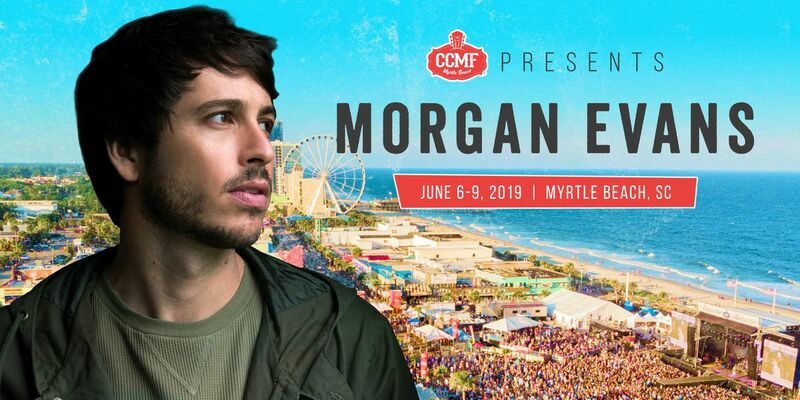 MYRTLE BEACH, SC (WMBF) – Morgan Evans is scheduled to perform at the 2019 Carolina Country Music Fest, according to an online posting from festival organizers. Evans joins a lineup that includes Alabama, Dierks Bentley, Thomas Rhett, Brothers Osborne, Midland, Mitchell Tenpenny, Florida Georgia Line, Jimmie Allen, Randy Houser, High Valley and Travis Denning. The 2019 CCMF starts June 6 and concludes June 9 in Myrtle Beach.